Lecture given at a conference on “Wittgenstein: Biography and Philosophy,” on March 25, 1999, at Virginia Tech, organized by James C. Klagge; and at a symposium on “Philosophy and Biography,” on May 18, 1999, at the University of Athens, organized by Vasso Kindi. We thank James C. Klagge and Ray Monk for their kind permission to publish the text on our website. The purpose of philosophical biography is very simply stated: it is to understand a philosopher. By ‘philosopher’ here I do not necessarily mean someone who earns his or her living from writing and teaching philosophy. Jean-Paul Sartre, for example, wrote philosophical biographies of Charles Baudelaire, Jean Genet and Gustave Flaubert, none of whom wrote or taught philosophy. To regard someone as a philosopher in this sense, i.e., as an appropriate subject for a philosophical biography, it is enough to see them as someone whose thought – whether expressed in poetry, music, painting, fiction or works of philosophy – it is important and interesting to understand. And now, of course, the central question is raised: to understand somebody’s thought, why is it necessary to understand them? Can’t we, for example, understand The Critique of Pure Reason, or indeed Madame Bovary, without knowing or understanding anything at all about Kant or Flaubert themselves? In one sense, the simple answer to this is `yes, of course we can’. Indeed, not only can we separate life and work, but, for certain purposes we must do so. Whether the arguments in Critique of Pure Reason are valid or not cannot depend on anything we know about the details of Kant’s life, nor can the value of Madame Bovary as a work of fiction depend on what we think of Flaubert himself. I have no difficulty in accepting the view urged by Richard Rorty and others that the assessment of Being and Time as a work of philosophy must be kept quite distinct from the question of whether Heidegger himself was a coward and a liar with regard to his Nazi associations, just as I can happily concede the point recently urged upon me that the evaluation of Principia Mathematica can have nothing to do with the fact that Russell was horribly insensitive to his first wife, Alys. But to concede all this is not to strip biography of its purpose; it is simply to accept what is in any case obvious: that biography is irrelevant to the assessment of the greatness of a work, whether it be philosophy, fiction, poetry or whatever. Were the understanding of a person’s thought restricted to its evaluation, the conclusion would have to be that biography is the futile and even pernicious activity that many believe it to be. However, it seems to me that there is an important sense in which to understand what somebody says is to do something other than to evaluate it. To take a reductively simple example: suppose you are in a room with someone and you hear them say: ‘There is a mouse under my chair’. Whether this is said with a tone of delight or fear has nothing to do with evaluating its truth, and yet, if you do not hear the delight or fear in the voice, there is an important sense in which you have not understood what is being said. Or again, suppose you are talking to someone and they say: ‘Bill Clinton is a liar and a cheat who has made his wife’s life a misery’. Whether this is true or not has nothing to do with who says it, but, if you later discover that the person you were talking to was President Clinton’s daughter, you would be missing something if you did not attach a new significance to it. The task of a biography, I think, is to enrich understanding in these two ways: by attending to, so to speak, the tone of voice in which a writer expresses himself or herself and by accumulating personal facts which will allow us to see what is said in a different light. Despite these statements, of course, the spirit in which Wittgenstein’s work was written has been, by and large, neglected in the vast amounts of philosophical commentary devoted to it. This is not to say that it has been ignored altogether. The situation when I began my book was roughly speaking this: two almost entirely separate bodies of literature on Wittgenstein were developing – one which discussed his ethical, cultural and spiritual attitudes as revealed in the memoirs of him, his personal correspondence and the records of his conversation published by his friends, and another which discussed the themes of his philosophical work. My over-riding aim was to show that there was no reason why these two aspects of Wittgenstein should be discussed in isolation from each other, that one could look at his work, no less than his private conversation, as an expression of his most fundamental attitudes. And, by seeing the connections between his spiritual and cultural concerns and his philosophical work, one might perhaps be able to read the latter in the spirit in which it was intended. As I conceive it, biography is a peculiarly Wittgensteinian genre, in that the kind of understanding to which it aspires is precisely the kind of understanding upon which Wittgenstein lays great emphasis in Philosophical Investigations, namely, ‘the understanding that consists in seeing connections’. In Wittgenstein’s later work, this is explicitly contrasted with theoretical understanding, and this is precisely one of the most important respects in which he believed himself to be swimming against the tide of what he called ‘the spirit which informs the vast stream of European and American civilization’. Whereas that spirit seeks to construct theories, Wittgenstein seeks merely to see clearly. Thus, the form Wittgenstein’s later work takes is not to advance a thesis and then to defend it against possible objections, but to say: ‘Look at things this way’. Biography, I believe, is a non-theoretical activity in the same kind of way. The insights it has to offer have to be shown rather than stated. Like Wittgenstein’s later philosophy, it is descriptive rather than explanatory and this means that its elucidatory value is perpetually liable to remain elusive and misunderstood. Drawing out connections is a perilous business because it can often appear as if one is making assertoric statements, truth claims, to the effect that there is such and such a connection, and then there can arise the question: ‘Well, is there, in reality, such a connection or not?’ Think, for example, of seeing a likeness between two faces, say those of a mother and her baby. Some people can see it and others can’t, and sometimes it can help to say to those who can’t things like: ‘Look at the nose, look at the shape of the eyes’, etc. But, if a dispute breaks out about whether this likeness is real or only imagined, how is it to be resolved? Is there a fact here that one can appeal to? Can one say: ‘Look, there either is a likeness here or there isn’t’. One can point to one face and then to the other, but can one point to the connection between the two? One can draw one face and then the other, but can one draw the similarity between them? Understanding a person is like understanding a piece of music; it is not a matter of accepting the truth of some statement or theory but of seeing the connections – and of course the differences – between the various things people do and say. Faced with someone who cannot see these connections, we cannot say that they are making a mistake, only that they are missing something, that they are suffering, as it were, from a kind of blindness, what Wittgenstein called ‘aspect-blindness’. In the manuscript published as Last Writings on the Philosophy of Psychology, Wittgenstein tried to elaborate further on what he means by ‘imponderable evidence’ and ends up comparing the man who understands people, who can tell the difference between real and feigned expressions of emotions, with an art connoisseur who, though able to distinguish a real from a fake painting, is unable to explain his reasons to a panel of non-experts. He can, however, says Wittgenstein ‘give intimations to another connoisseur, and the latter will understand them’.6 The other connoisseur will understand these intimations because, having a similar breadth of experience and knowledge, he will be able to see what the first is talking about, just as musicians will be able to hear what Ernst Bloch was intimating to his class about the difference the two pieces of music he played. There are those who will say that this is all nonsense and that, just as Wittgenstein is – despite his protestations to the contrary – putting forward a theory of meaning in Philosophical Investigations, so a biographer who claims insight into the mind of his subject is, whether he or she acknowledges it or not, operating with a theory of human psychology. To those I would say this: read a truly great biography, such as Boswell’s life of Johnson or Richard Ellmann’s life of Oscar Wilde, and then compare it with the biographies of Jean Paul Sartre and then you will see the difference between revealing character through description and trying to explain it through theorising. Sartre’s biographies are philosophical in a bad sense. Reading them, one is reminded of Virginia Woolf’s complaint about the novels of Arnold Bennett. Quoting a passage from Bennett’s novel, Hilda Lessways, in which Bennett introduces his central character with a long and tedious description of the row of houses in which she lives, Woolf complains that we cannot, in all this, hear Hilda’s voice, ‘we can only hear Mr. Bennett’s voice telling us facts about rents and freeholds and copyholds and fines’. Bennett, she says, ‘is trying to hypnotize us into the belief that, because he has made a house, there must be a person living there’.7 Similarly, in Sartre’s Baudelaire, it is not the poet’s voice we hear, but Sartre’s own telling us his theories of narcissism, consciousness, being and non-being. This passage may or may not contain insights into Baudelaire’s character, but think how much more convincing it would have been if the short quotation from Baudelaire himself, instead of being embedded in a lot of Sartrean theorising, had been placed alongside other remarks by Baudelaire and put into context with some pertinent facts about, and perhaps even some quotations from, his mother. For as it stands we do not see Baudelaire reacting as Sartre tells us he did. We do not, for example, see him make the choice to be solitary that Sartre imputes to him. Indeed, the one quotation that Sartre produces in this connection might easily be taken to imply that Baudelaire did not experience his solitude as a choice, but rather as something that was foisted upon him by fate. Nor do we hear Baudelaire’s rage at being abandoned and rejected. What we hear is Sartre’s confidence that this is what Baudelaire felt. The problem with Sartre’s biography of Baudelaire is not that he tries to reveal Baudelaire’s inner life, but that he tries to say what ought to be shown. Wittgenstein’s dictum that an inner process stands in need of outward criteria is often taken to imply a general suspicion about the notion of an inner life, but it seems to me that this is a crass misunderstanding. Wittgenstein, of all people, knew that we have an inner life, that we have thoughts that we do not share with other people and desires which we deny even to ourselves. He knew what it was to have an inner struggle between inclination and duty and a split between what we say and what we mean. His thorough-going attempts to be a decent person almost invariably took the form of attacking his own inclinations to give other people a false impression of himself. The most important link between his philosophy and his life, indeed, is provided by his sense that he couldn’t be a decent philosopher, couldn’t think clearly, until he had ‘settled accounts with himself’, until he had, as he put it, ‘dismantled the pride’ that stood in the way of both clear thinking and honest, decent living. The confessions that he made in 1937, at a time when he was writing what he thought would be the final version of Philosophical Investigations, all took the form of owning up to deceptions. And all the deceptions were, he made clear, prompted by vanity, by his wish to appear better than he was. This impulse to come clean, to confess, was also what lay behind his expressed wish to write an autobiography. He wanted to remove the obstacles that lay between him and clarity. For as he once said to Russell: ‘Perhaps you regard this thinking about myself as a waste of time – but how can I be a logician before I’m a human being! Far the most important thing is to settle accounts with myself!’12 To think clearly and to dismantle one’s pride were, for Wittgenstein, essentially linked. And to dismantle one’s pride it was necessary to reveal that which, through vanity, one would prefer to remain secret. ‘Nothing is hidden’ is, for Wittgenstein, an ethical as well as a logical remark. And yet, it is important that ‘nothing is hidden’ is a descriptive rather than a prescriptive remark. It is not that Wittgenstein thought one ought to reveal the less admirable aspects of one’s character, but that he was convinced that, to a sufficiently perceptive observer, they would be revealed, whether one wanted them to be or not. A lack of integrity, for example, would infect one’s style of writing, or the clarity of one’s thought. It may even be revealed in one’s face. There is such a thing as an inner life, but it will invariably have outward manifestations, and, to one with the necessary experience and wisdom to interpret the ‘imponderable evidence’, nothing is hidden. In The Brothers Karamazov, Dostoyevsky describes the figure of Father Zossima, of whom, he writes, it was said by many people that ‘by permitting everyone for so many years to come and bare their hearts and beg for his advice and healing words, he had absorbed so many secrets, sorrows, and avowals into his soul that in the end he had acquired so fine a perception that he could tell at a glance from the face of a stranger what he had come for, what he wanted and what kind of torment racked his conscience’.13 Discussing this passage with his friend, Maurice Drury, Wittgenstein remarked: ‘there really have been people like that, who could see directly into the souls of other people and advise them’.14 An inner process stands in need of outward criteria, but this does not mean that they are manifest to everybody. To see deeply into a person’s inner life requires a rare attentiveness to and understanding of its outward manifestations. We can hear anxiety in a tone of voice, see fear on a person’s face, recognise insincerity in a person’s prose style. But the depth and sensitivity with which we do so varies with our experience, our understanding and the extent to which, like Father Zossima, we are willing to absorb the secrets, sorrows and avowals of others. The first requisite for a successful biography, then, is a willingness to be deeply absorbed in the inner life of another person, and this is where Sartre falls down. It is not Baudelaire or Genet or Flaubert that he finds fascinating, but his own theories of philosophical psychology. To write a really great biography a certain self-effacement is required. The paradigm here is Boswell’s life of Johnson. Boswell finds everything about Johnson fascinating, and though there is no theorising in his biography and very little reasoned reflection, he succeeds in capturing the ‘imponderable evidence’ upon which any judgment of Johnson’s character must be based. Even Virginia Woolf, who was sceptical about the entire genre of biography and inclined to believe it to be an impossible task to understand the inner life of another, acknowledged that Boswell had succeeded in conveying the spirit of Dr. Johnson, largely through allowing us to hear Johnson’s own voice. When we hear Johnson say things like ‘Nay madam, stark insensibility!’, Woolf says, then we feel we know what kind of man he was. The example is interesting, I think, as an illustration of ‘imponderable evidence’. Why is this exclamation so revealing of Johnson’s spirit? It is difficult, if not impossible, to say. If pressed, I would reach for some phrase like ‘touchingly bombastic’ to describe it. But, in the end, it is imponderable. If somebody did not find that a whole personality was expressed in that phrase, all one could do is say, a la Ernst Bloch: ‘If you do not hear it, do not say to yourself you are a biographer. There are many honourable trades’. Having said what I think the point and the appropriate method of philosophical biography is, and pointed to the extent to which Wittgenstein’s later work provides an intellectual framework for the genre, I want to end with some troubled and inconclusive reflections about my unfinished biography of Bertrand Russell. I have been critical of Sartre’s attempts at biography, but there is at least one remark of his that rings a loud bell with me. In talking about the unity of Baudelaire’s life, Sartre says: ‘Every event reflects back to us the indecomposable whole that he was from the first day until the last’.15 There are, of course, very great dangers in taking this view, the chief of which is that of falsifying a life by imposing upon its chaotic multiplicity an artificial uniformity. Montaigne was alive to this when he wrote in his Essays: ‘There is some justification for basing a judgment of a man on the most ordinary acts of his life, but in view of the natural instability of our conduct and opinions, it has often seemed to me that even good authors are wrong to insist on fashioning a consistent and solid fabric out of us’.16 ‘In all antiquity’, Montaigne writes, `it is hard to pick out a dozen men who set their lives to a certain and consistent course’. The thought that has been troubling me is this: in revealing the unity of Wittgenstein’s emotional and spiritual concerns and his philosophical preoccupations, in describing his life and work in a seamless narrative, have I done anything other than demonstrate that Wittgenstein was one of those very rare individuals for whom one could do such a thing. After all, Wittgenstein was, from the biographer’s point of view, conveniently monomaniacal. Everything in his life was subordinated to the twin search – the single search, as I would claim – for philosophical clarity and ethical Anständigkeit [decency]. Convenient, too, was his tendency to strip his life down to its bare essentials: he never owned a house or got married, he had little money, few possessions and a rather small circle of friends. Furthermore, he published just one book and one article in his lifetime, and devoted himself, during the last twenty years of his life to just one task: that of putting his later philosophy into a satisfactory book. Russell, on the other hand, married four times, had countless lovers, published sixty books and over two thousand articles, was involved in many complicated public activities and corresponded with an almost unbelievably large number of people – friends, relatives, colleagues and members of the general public. The Russell Archive in Canada estimates that it has over forty thousand letters by Russell. Future generations, I am convinced, will refuse to believe that the name ‘Bertrand Russell’ denotes an individual and will conclude instead that it is the name of a committee. Faced with this multiplicity, diversity and sheer bulk, the question arises: is the search for connections, for unity, not simply futile and bound to lead to falsification? My anxieties on this score are compounded by the reviews of the first volume of my biography of Russell, many of which, to my extreme discomfort, focused not on Russell but on me. What my book revealed, many thought, was not Russell’s inner life but my own, and, in particular, my passionate dislike of Bertrand Russell. I have said that self-effacement is a requirement in a good biography. Of course, I do not mean that an author is ever invisible. From Boswell’s life of Johnson we learn quite a lot about Boswell himself, and we know, of course, that the portrait of Johnson has been fashioned by Boswell, in accordance with his own understanding of Johnson’s character. And yet, so convincing is the portrait that we do not take it to be about Boswell’s thoughts on Johnson, but about Johnson himself. 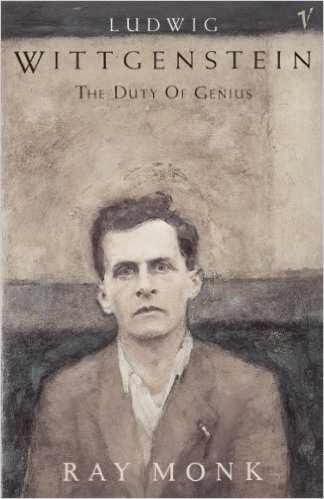 Similarly, few took my biography of Wittgenstein to be about me even though it was clear that the portrait of Wittgenstein presented in it had been painted by me. How did I inadvertently manage to paint myself into my portrait of Russell when I had successfully left myself out of my painting of Wittgenstein? One possible answer to this is that, in my search for unity in Russell’s life, I have imposed too restrictive a framework on his multi-faceted life, squeezing out some aspects of his character that others regard as essential. I see Russell’s life as dominated by his fears of madness and of loneliness. Unlike Sartre, I do not simply assert this, but show these fears being expressed in countless letters, remarks and autobiographical writings and describe their consequences in various actions. However, in concentrating on these things, I have left out others, and some people have demanded to know why I have not included episodes revealing Russell to be kind, generous, witty, funny and happy. The answer to that touches on Wittgenstein’s question about whether there is such a thing as expert judgment about the sincerity of a person’s expressions of emotions. For the truth is that I suspect Russell’s expressions of happiness to be, often at any rate, insincere, while I regard his frequently expressed fears of madness, his misanthropy and his feelings of solitude to be entirely sincere. After one has spent eight years reading several thousand documents revealing his private thoughts and feelings, one, in Wittgenstein’s phrase, ‘develops a nose’ for these things. But, after all, as has been forcefully and painfully pointed out to me, these are my judgments and it is open to other people, with perhaps equal claims to mine to possess such a ‘nose’ to make other judgments. I can, and would, claim that more aspects of Russell’s life and work fit into my picture than into the alternatives, but, with a bit of straining, almost anything can be made to fit. I have known people, for example, determined to maintain their picture of Russell as an essentially happy, kind and loving man, to deny that his repeatedly brutal treatment of those closest to him is the expression of fear and hatred and insist instead on regarding it as the perfectly reasonable response of an eminently rational man to the actions of stupid, selfish and dishonest people. That this drama of rejection and recrimination was played out time and time again in four marriages, countless love affairs and a tangled web of unhappy familial relationships, leading to much heartbreak and several nervous breakdowns, is dismissed by them as a sign only of Russell’s bad luck in being surrounded by so many mentally unstable people. Here we see the limitations of appealing to ‘the understanding that consists in seeing connections’. I can say: ‘Look at it like this and you will see that everything fits’, but if I am met with ‘No, look at this like this and you will see that it all fits together in quite a different way’, then the opportunities for reasoned debate look rather slender. Another possible answer to the question of how I managed to put myself in my picture of Russell when I avoided doing so in my picture of Wittgenstein is suggested by a remark of Douglas Collins in his book, Sartre as Biographer. ‘The understanding of another person’, Collins writes, ‘is inseparable from the understanding, and even the provisional acceptance of his values’.17 Is it that I understand and accept Wittgenstein’s values but not those of Russell? I don’t think so. If I were asked to summarise in a sentence the difference between their respective values I would say that Wittgenstein sought to improve himself, while Russell sought to improve the world and that therefore Wittgenstein’s values were essentially religious and Russell’s essentially political. Am I closer to Wittgenstein than to Russell in this dichotomy? No, if anything, I am closer to Russell. The reason it was important to Wittgenstein that there could be no substantial disagreement on any philosophical point is not that he thought that everything he said philosophically was true, but rather that, in so far as it was philosophical, it was not – indeed, could not possibly be – making a truth claim at all. I would claim something similar for biography. In so far as truth claims are made in a biography they are, or ought to be, trivially demonstrable by citing the appropriate document or other piece of evidence. In so far as the biography is genuinely insightful, however, it is not making a truth claim and therefore disagreement is impossible. What then do I say to my critics? Following Wittgenstein I could claim that they are wrong even in thinking that they disagree with me. If they saw things clearly, they would see that they don’t really object to anything I say. They agree with every word. If my critics retort that they find this unsatisfying, all I can say is that I do too. The most that can be said in my defence is that, if this sense of unease points to a fundamental flaw in my conception of philosophical biography, it points equally to a fundamental flaw in Wittgenstein’s later conception of philosophy. 12 Letters to Russell, Keynes and Moore, p. 58 (pp. 65-66 in Cambridge Letters). 13 Fyodor Dostoevsky, The Brothers Karamazov, Part I, Book I, Chapter 5 “Elders”. 18 Wittgenstein’s Lectures on the Foundations of Mathematics: Cambridge, 1939, p. 67.